A recently proposed rule from the Environmental Protection Agency (EPA) could have an important impact on poplar-based fuels. The EPA is tasked with administering the Renewable Fuel Standard (RFS), which is designed to promote the use of renewable fuels, primarily biofuels, in our transportation system to reduce greenhouse gas emissions and dependence on foreign oil. The EPA is proposing three changes to the RFS and is accepting comments on the rule through February 16th, 2017. One change is particularly important to AHB as it would add new cellulosic feedstocks, including poplar and willow, to the list of approved biomass. Under the proposed rule, poplar would be considered an acceptable feedstock under the Renewable Fuel Standard (RFS). If the proposed rule is passed, poplar and willows grown in rotations of ten years or less would be listed as feedstocks eligible for fulfilling Renewable Volume Obligations. Adding poplar to the list would assist with moving poplar biofuels further towards commercialization. It would also bolster confidence in the sustainability of poplar-based fuels. The EPA goes through a lengthy process to determine if a feedstock is environmentally beneficial enough to qualify as a renewable fuel under the RFS. EPA consulted AHB researchers in determining the regulations in regard to poplar. There are some environmental organizations with concerns about promoting poplar as a bioenergy crop due to the potential for invasiveness. 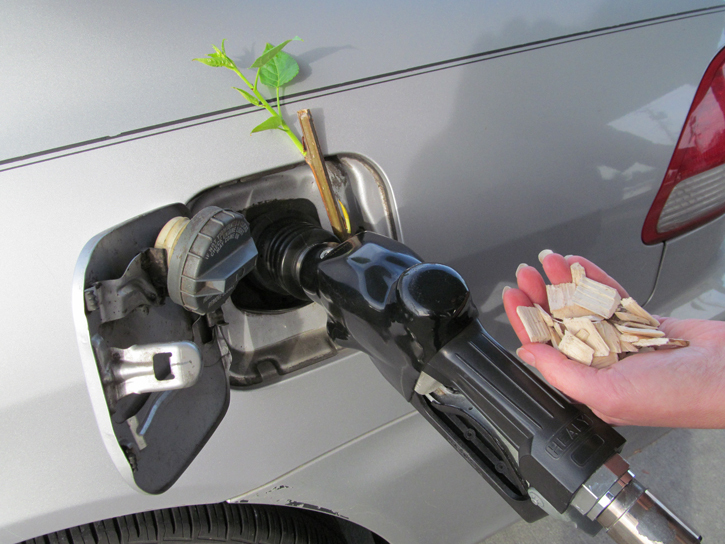 While some poplar species are native to the PNW, many of the poplar varieties being cultivated for biofuel production are not. Experts at GreenWood Resources agree that invasiveness potential is an important concern and AHB has been actively working towards decreasing the chance of poplar spreading outside the dedicated bioenergy farms. AHB has been using hybrids and varieties of balsam and black poplar, which do not expand as aggressively as some species. Additionally, AHB researchers have been working toward developing a poplar that does not produce seeds or pollen. The EPA is hoping to encourage poplar-based fuels and enhance cellulosic fuel pathways for a variety of reasons. Cellulosic feedstocks do not compete with food crops at the same level as other types of energy crops, and they reduce greenhouse gas emissions more effectively. The EPA is also interested in poplar due to the environmental benefits it can provide, such as further treating wastewater. The proposed rule could provide a much needed “nudge” towards the effective commercialization of poplar biofuels. The RFS was first authorized under the Energy Policy Act in 2005 and then expanded in 2007 under the Energy Independence and Security Act. Ultimately, the goal is to produce 36 billion gallons of renewable fuel per year by 2022. The EPA is especially interested in increasing the amount of biofuels, or fuels created from organic material. To accomplish this, the EPA will incrementally increase the required volume of renewable transportation fuels every year until it reaches the 36 billion gallon per year target. Every year, each fuel refiner is assigned a percentage of the renewable fuel target called a Renewable Volume Obligation (RVO). In order to compensate for potential lack of local access to biofuels, the EPA developed a credit-trading system where refiners could purchase renewable fuel credits separately from the physical biofuel. This is accomplished through the Renewable Identification Number (RIN) system. When a gallon of biofuel is produced and reported, the EPA gives it an RIN, which includes the year of biofuel production or import, the company that produced it, the facility where it was made, and the number of gallons and type of biofuel it represents. RINs are connected to that gallon of biofuel until it is blended into gasoline, diesel, or jet fuel. Then the RIN is disconnected from the biofuel and becomes its own form of currency. If refiners purchase or blend the biofuel (and therefore disconnect a RIN), they can either retire the RIN to the EPA to comply with their own RVO or sell the RIN to another refiner who has not yet fulfilled their RVO for the designated year. Since the implementation of the RFS, the majority of the renewable fuel mandate has been filled by blending corn-based ethanol with gasoline. However, growing corn for ethanol is resource-intensive. The EPA has capped the volume of corn-based renewable fuels that can be applied toward the mandate. Instead, the policy encourages refiners to use advanced biofuels, including cellulosic biofuels, to make up the difference. The primary cellulosic feedstocks available right now are corn stover, along with grasses, other agricultural residues, slash, and biomass from forest thinnings. Currently, there are no EPA-approved fuels from short rotation woody crops such as poplar and willow. While it seems like the mandatory use of cellulosic biofuel would be good news for biofuel producers, things have not gone as planned. Cellulosic ethanol has not been produced at adequate levels to meet the standard. In response, the EPA has steadily lowered the cellulosic ethanol portion of the Renewable Fuel Standard. Additionally, EPA has have offered cellulosic waiver credits in cases where cellulosic biofuels are not available in high enough quantities to fulfill obligations. Even if there was a cellulosic ethanol boom, corn ethanol producers are already making enough to supply all of our ethanol for lower blend fuels, like E5 (5% ethanol, 95% gasoline) and E10 (10% ethanol, 90% gasoline). 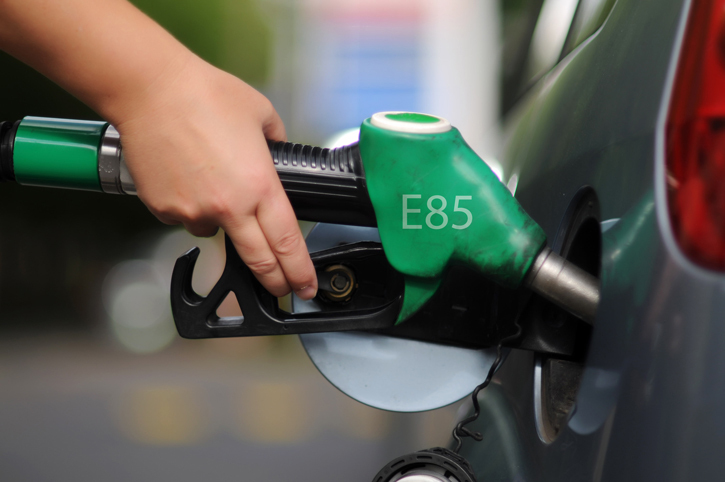 E10 is currently the highest blend that most gas stations carry, even though E85 can be used in Flex Fuel vehicles and E15 is approved for newer cars. The “blend wall”, as it’s known, will be a serious problem for the RFS and renewable fuels, unless higher blends of gasoline and ethanol become more common or drop-in fuels become more economically feasible. Additional changes to the new proposed rule are designed to make biofuels more cost effective. Biofuel producers would be allowed to partially process feedstocks in one facility and then transfer them to another for further processing in order to increase the efficiency and economic feasibility of producing biofuels, especially cellulosic and advanced biofuels. 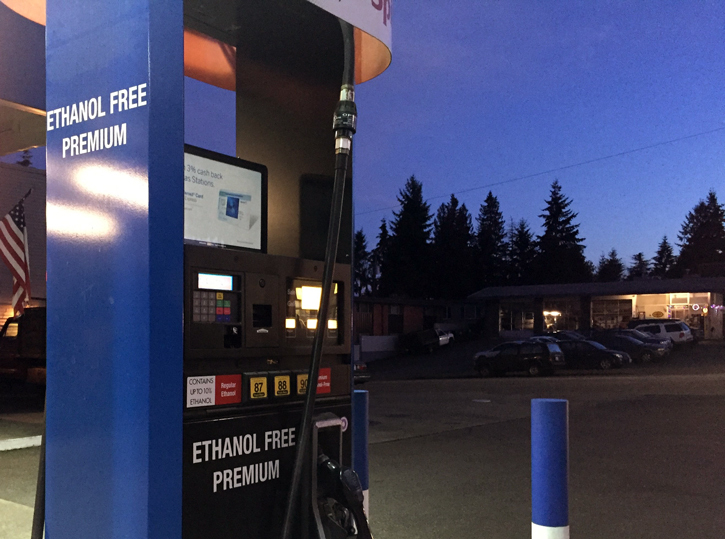 The new rule would also expand the availability of high ethanol blends (up to 85% ethanol) for flex fuel vehicles by evaluating them separately from traditional gasoline, while still ensuring that they are environmentally sound and high quality. EPA is accepting comment on the new proposed rule until February 16th, 2017. More information on the rule is found here.